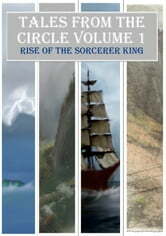 ...a sinister power was growing on the border between the High Kingdoms and the Giant Lands. Immerse yourself in an epic journey across all the lands touched by the twisted magic of the Mad Sorcerer. Follow in the footsteps of those whose lives were changed by the Mad Sorcerer and those who sought to change the world by fighting him.